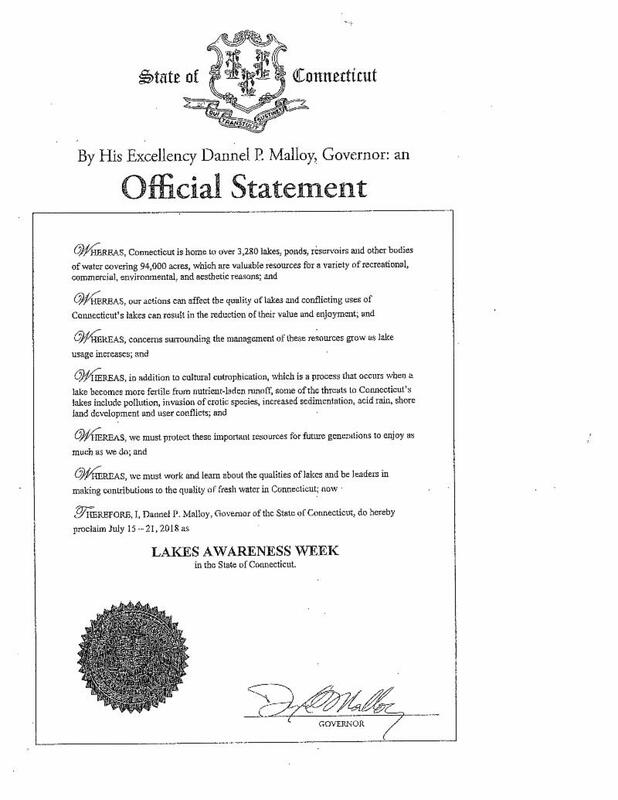 Governor Malloy has signed a Proclamation naming the week of July 15th CT Lake Awareness Week. In his proclamation, the text of which can be read below, the Governor stated, "We must protect these important resources for future generations to enjoy as much as we do." ﻿He called upon all of us to "..work and learn about the qualities of lakes and be leaders in making contributions to the quality of fresh water in Connecticut". The CFL welcomes the Governor's Proclamation and urges its lake associations and members across the State to take advantage of this event to educate the public on the issues facing their lakes, locally. Invite your neighbors, municipal leaders, and State representatives out for a "day on the lake". Show them, first hand, the beauty of your lake, and show them the issues your lake is facing. 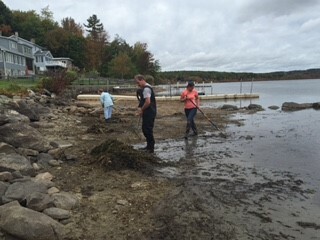 Whether your lake has issues with aquatic invasive plants, Harmful Algal Blooms, or impaired water quality from storm water runoff, the impact of new development, or failing septic systems, please educate your community and representatives on the importance of working with you and the role they can play in saving our lakes. Nationwide, it is Lakes Appreciation Month, an event organized by NALMS (the North American Lake Management Society). For additional ideas on what your lake can do, check out the NALMS webpage here . We would love to hear from our lake association and individual members how you mark this event. Send us a description of what you did and how it was received. Some pictures would be great! We will feature some of these in a future Member Update. Send us your information at info@ctlakes.org . 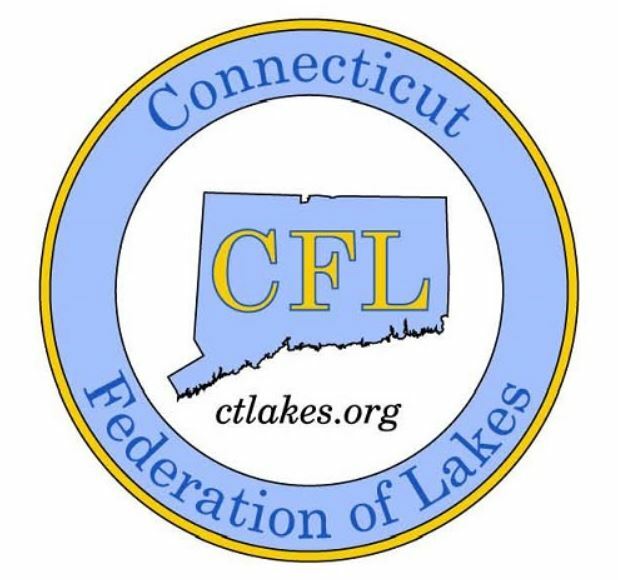 Learn about the issues through the CFL, CT DEEP, or your local lake association. Stop the spread of invasive plant species by cleaning, draining, and drying your boat before you move it from any lake and be sure your fellow boaters do the same. Support Low Impact Development (LID) in lake watershed areas. Work with your Town on improved storm water management to minimize the impact of runoff into our lakes. Be sure that septic systems in lake watersheds are well-maintained and pumped regularly. Get involved with your local lake association by volunteering to help. Support volunteer citizen science as a cost-effective involvement of interested people in lake management.